What to look for when buying a used Nissan Murano? The Nissan Murano is a mid-sized, five-seat crossover and was first introduced in 2003. The Murano was the first crossover Nissan had produced and remains the company's flagship crossover-SUV. The Murano's styling was inspired by the sculpted glass manufactured in Murano, Italy. The first generation of the Murano was produced until 2007. Skipping 2008, the Murano entered the market in its second-generation as a 2009. The Murano CrossCabriolet convertible was introduced in 2011 and ceased production in 2014. The current-generation Murano was introduced in 2014. All three generations are powered by advanced V6 engines, are available in front-wheel and all-wheel drive, and seat up to five passengers. The Nissan Murano has won several awards and is considered one of the safer midsize crossovers on the market, with high crash test scores throughout its production life so far. The current-generation Murano, in 2015, won an award as a Ward's 10 Best Interiors choice. Most complaints from consumers with their used Nissan Muranos are in minor details such as broken door handles, breaking seat sliders, and so forth. Engine and transmissions failures are also common in the first-generation, but usually occur at high mileage and with spotty maintenance histories. A well-maintained used Murano will not likely have these issues. The Nissan Murano is considered an excellent family hauler. Competing crossovers include the well-rounded Ford Edge, the bigger Jeep Grand Cherokee, and the sporty Volkswagen Touareg. The Murano is very competitive with any of these. What is the average price for Used Nissan Murano? How many are for sale and priced below market? Where does used Nissan Murano rank in comparison to competitor vehicles? What Is The Average Price Of A Used Nissan Murano By Model Year? What Is The Average Price Of Competitor Cars To The Used Nissan Murano? What Is The Average Price Of Used Nissan Murano In The Top 10 Cities? The Murano received a full redesign in 2015 and has largely carried forward with those excellent changes since. The 2018 Nissan Murano adds a few things that helped boost its score slightly for this year. Chief among those are improved safety systems and driver's aids that are now standard in the Murano. The Nissan Murano is a more premium-level vehicle than most two-row crossovers in the midsize segment, competing more directly with premium brands than might be expected of a Nissan. It emphasizes style and comfort while offering good cargo space and a smooth driving experience. 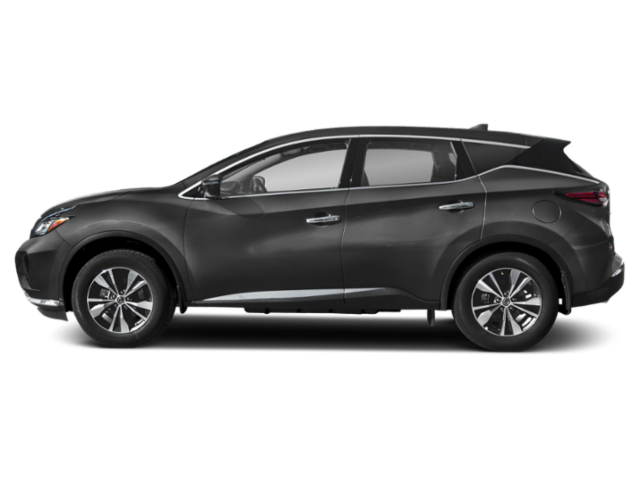 The 2018 Nissan Murano is a five-seat midsize crossover that stands separate from the brand's Pathfinder model as a more upscale option. Packaging starts with the S model and works up through three more trim points, each adding more options. The 2018 Murano is front-wheel drive by default, with all-wheel drive as an option, but all drivetrains utilize the same six-cylinder engine and automated transmission. The 2017 Nissan Murano is largely unchanged from its redesign of two years ago, but some of this year's updates boost its scoring with us - namely in technology. The Murano is one of the most refined and upscale offerings in the non-luxury midsize crossover segment with a decidedly eye-catching appeal that still remains value oriented. The minimal changes for the 2017 model year are mainly to technology. A new appearance package has been added: the Midnight Edition for the Platinum trim. The Murano otherwise continues with its four smart trim levels, strong V6, and front-wheel or all-wheel drive options. The Murano is a 5-seat (2-row) crossover in the midsize segment. It is generally more premium than most other offerings and stands separate from Nissan's Pathfinder 3-row crossover as a more upscale option. The 2017 Murano offers a great package of options for most budgets and needs. All with a style and presence that far outclasses its price tag. The 2016 Nissan Murano is a continuation of the new Murano introduced last year and it remains one of the best choices in the midsize crossover segment. The Murano is eye-catching, decidedly upscale, yet somehow value-centric. Outside of the addition of a USB port as standard and a tweak to the upper-trim Bose audio system, the Murano is the same great crossover it was in 2015. We loved it then and we love it now. The Murano continues to bring a best all-around package of excellence to the market and for that, we've given it a high recommendation in our scoring.